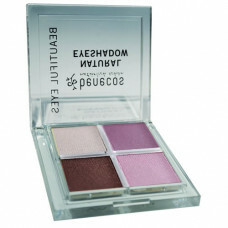 What it does: It evens out color pigmentation to intensify the color and brilliance of your eye shadow. It makes sure your eye shadow stays on all day and that it looks just as good at the end of the day as it did when you first applied it. Why we love it: This subtle shimmery gold formula is easy to apply and will keep your cream or powder eye shadows from creasing, separating and disappearing as the day/night wears on. You can even wear it alone with just eye liner and mascara for a simpler, more natural look. How To Use: Apply across eyelids to prime. Apply eyeshadow as usual after primer application.